Let me know what websites you frequent every day. I can always add more to my list! Now on to some favorites. Lately, I have been wearing these products incessently. Marine Life Highlight Powder...most of the gold overspray is gone now but it's still really beautiful. 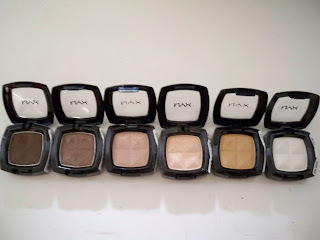 NYX eyeshadows. One swipe all over the lid and I'm good to go. Oh, and lots of bronzer! Now that it's really heating up, are you wearing less makeup? Have a great day! I'm really regretting not getting my hands on Marine Life Highlight Powder - it looks so pretty! 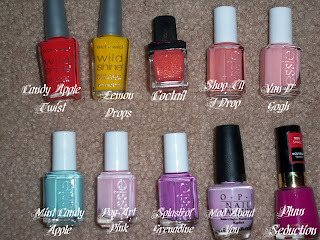 I'm loving all ye nail polish shades! I just had Mod About You on my toes! R May A: Doesn't bronzer make such a huge difference?! Especially under my sunscreen ;) I'm sorry you missed out on the highlight powder. It sold out far too quickly! Cynthia: RUN, don't wait to get the powder when it launches! It will most likely sell out as quickly as it did here in the states. 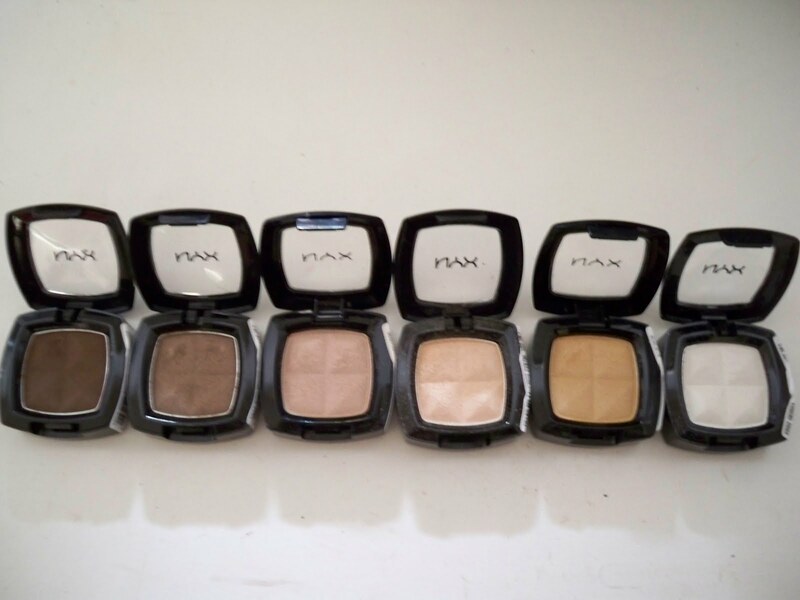 Marie: I love the NYX single shadows. They are so blendable and pigmented. I think they could even stand up against higher end brands. I have also heard so much about Polyvore! I have yet to familiarize myself with the site. Andi: ooooo, I love Mod About You! The only thing is that it's hard to apply evenly. Mine goes on very goopey. I usually get a professional pedicure with it though ;) Lol to the Housewives! I would die if I saw any of them there, especially Vicki! I'm not generally a Havasu type of girl, but I am excited to see all the debauchery that will go on. Great favorites! I'm wearing a little less makeup now that it's summer time, and i'm still on the hunt for a good tinted moisturizer! Which bronzer do you use? I can never find one that works well for me! They're always too shimmery, too muddy or too orange! Caitlin: Well this is just my personal opinion, so I hope it works for you too. Try either NYC's bronzer in Sunny for an inexpensive option. I've heard these are being discontinued but I see them at drugstores everywhere! It's completely matte and very natural looking. For a pricier option, I love Korres Manoi Oil Bronzer. I think they come in about two shades but I get the lightest one called Sunglow Light. It may appear to have some shimmer in it, but it applies totally matte. Both of these are my faves and I use them a lot because they aren't too muddy, too dark, or too orange. I hope this helps! Let me know if you buy one! 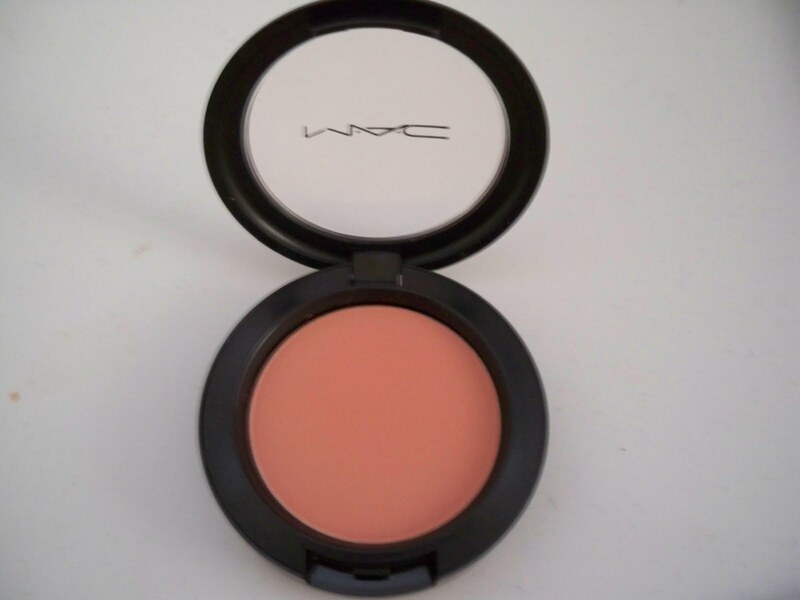 That shade of MAC blush is SO gorgeous. And I absolutely MUST visi9t Lulu's daily as well! Josie: Thank you! And yes, Lulu's is always fun, even if you're just browsing. 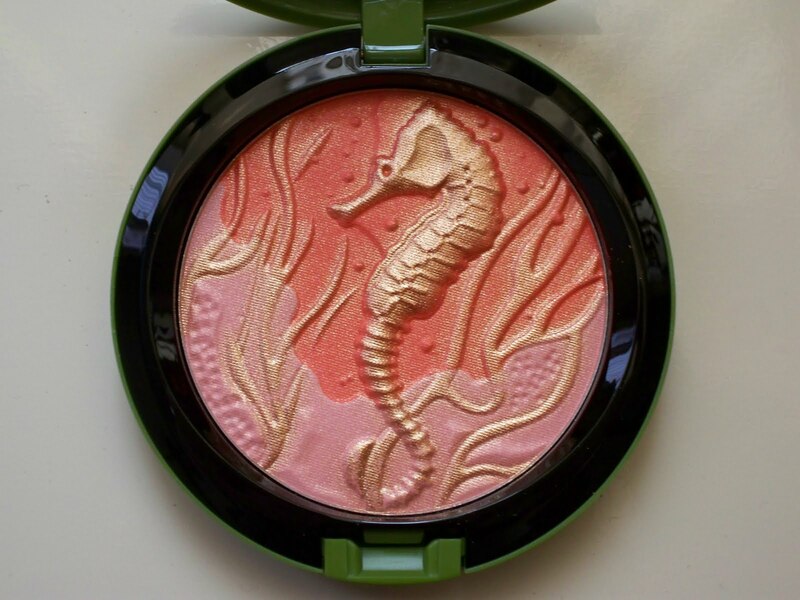 I really need to get the marine life highight powder. My old makeup is starting to get boring. Ace Journalist: I am trying not to shop online either, because it was getting out of control! Andee Layne: Instant Chic is so pretty! I know it's LE but I'm sure you can still find it.